IFX 12 contains many new features which have been requested by our users. The most common request we have received is support for Mac and iOS devices. With version 12 both platforms are now available in addition to the latest version of Windows™. With these new platforms and the great updates shown below, we are confident this will be the best version of InspectorFX ever! Automation for Mac & Windows Users - It is now easier than ever to email reports and documents from your desk or laptop. If you have an email address in an Order, when you click the Print button on a report you will be asked if you want to email your report. If you click Yes, then IFX 12 automatically attaches the PDF, transfers the email address, enters the property address and adds a Thank You note, all automatically. Talk about a time saver! Added report pages - Each section of the report now contains a total of 4 pages with thumbnail photos on each page. A welcome new feature includes the ability to automatically number each completed page of the report including photos pages. Selective Page Printing - We have often been asked for the ability to delete certain pages from a report. Version 12 contains the ability to remove any section by merely deselecting the checkbox on the first page of the section. In other words, if you are inspecting a condo without a Garage or Carport, simply uncheck the "Print this page with report" checkbox and it will disappear from your final report altogether. Dynamic Table of Contents - This is another welcome update. The TOC now displays page titles and page numbers for each section. Deficiency Summary pages are numbered D1, D2. Addendum pages are numbered as A1, A2, and so forth. Color Coding - We automated the color coding process for Perspective values. Interior Rooms Label Customization - We've often been asked for more flexibility on Interior Rooms. With this version we made the Interior Rooms labels for items #14, #15 & #16 editable on each report. Previously the static labels were, (14) Number of wet bars, (15) Number of fireplaces/wood stoves and (15) Fuel Source. We also give the ability to set any value as a default entry in the Value List Editor while retaining the ability to customize each label on a particular inspection. Deficiency Summary - We think your agents will really loves the fact that each deficiency item is numbered so they can easily refer to each defect by number rather than spelling out the condition on their Response to Inspection. In order to meet certain States' regulations we added a field at the top of the Summary section to allow custom disclosure notices to be inserted at the beginning of the Summary. Photo Manager - When navigating between report pages only photos for each respective page are displayed making it much easier to edit each section. To view all your photos as a group, simply navigate to the General Information page where you can see all photos sorted and numbered. and iPads. There is an important reason these devices are the clear leaders in the mobile industry....they simply work! Until you have experienced first hand how much labor can be eliminated from the report writing process with an iPad, you will never know what you are missing. Back in the mid 90's, InspectorFX was the first home inspection program to use mobile technology at the inspection site and we did this with an Apply Newton. It was a real game changer back then and the iPad is even more so. This level of automation has been missing from the industry since Apple discontinued the Newton in 1997 when Steve Jobs returned to save his company. In spite of all recent automation attempts with laptops, tablets and handhelds, that level of efficiency has never been recovered....until now. It is a little known fact that many of the original Newton engineers were the primary drivers behind the development of Apple's remarkable line of iOS devices. Here are just a few of the features available to iOS users. Offer A New Level of Service - InspectorFX runs on your office or laptop computer as always but with our new iOS Mobile feature you can transfer your entire program to an iOS device in seconds. You will never find yourself promising to send a copy of a report to someone once you get back to the office since you will have your entire paperless office with you at all times even with an iPhone. Mobile Layouts - We optimized the Order Entry & Marketing screens to enhance your ability to handle all daily office management tasks from the front seat of your vehicle. This feature alone will save you hundreds of hours of office time each year. Pre-Inspection Agreements - With their touch screens, iOS devices allow you to capture your client's signature using the tip of their finger or a simple stylus. Once you capture the signature a copy can be emailed or printed in seconds. Prepare & Deliver Documents - We made sure you have the ability to fill out then email or print all InspectorFX reports from your iOS device. At the conclusion of each general home inspection you can quickly email your client and/or agent a Deficiency Summary to facilitate a rapid response to the seller. This improved level of service is sure to gain high marks from your agents. Collect Payments - To record payments simple click on the Payment Amount button and IFX automatically enters the date and amount paid. All you then do is enter the customer's check number or credit card information. Square and similar services will even provide free credit card scanners at reasonable processing rates with no up front costs or monthly fees. Invoices and Letters - Again we enhanced your ability to create, print or email paid Invoices and Thank You letters from the inspection site with a few simple taps on your screen. Photo Management - You will really enjoy the ability to insert Photos directly into report pages from your iOS Device. Photos taken with digital cameras can easily be transferred to your iPad using an inexpensive SD Camera Card Reader Adapter or Eye-FI SD Card. The primary goal of our iOS Mobile service is to create an intuitive user experience that will allow you to be more productive during the day so you will have more free time for your family in the evening! Imagine how professional you will look when you ask your clients to sign their Pre-Inspection Agreement on your iOS device. And, after you finish your walk-through, the final report will be nearly complete. With iPad or iPhone's Voice to Text feature, you can insert custom comments as you walk through the property. You will be amazed at how accurately it translates your comments. As mentioned previously, taking photos is a snap with your device's built-in camera. *NOTE: Full Suite subscription clients receive the Mobile iOS Service FREE of charge. Corinth, TX - Today New Image Software, Inc. announced the immediate availability of Inspector FX 12. "This version is the best yet as it is now compatible with Mac & iOS devices as well as Windows 7 & 8" said Richard Jordan, President of New Image Software, Inc.. Owners of previous Inspector FX versions can now upgrade to this latest release. Jordan commented, "Imagine how professional an inspector will look when they ask their client to sign the Pre-Inspection Agreement on an iPad at the start of an inspection. And, when you finish your walk-through, the report is practically finished since you are able to insert custom comments using Apple's new voice to text feature and take photos with the built in camera ." Inspector FX 12 delivers the same easy to use features as version 8.5, however there have been significant improvements. "In addition to Mac and iOS compatibility we have added many new features such as the ability to exclude certain pages from a report, dynamic table of contents, more thumbnails and automated PDFs", said Jordan. "Inspector FX 12 is also available in a network version which allows office managers to instantly dispatch inspection orders and schedule updates. I'm even aware of one of our inspectors who has an assistant in the office proof reading reports as they are created. Talk about efficiency!" Jordan added. Inspector FX 12 is fully compatible with the company's WDI FX software for WDI and WDO inspection system giving home inspectors the ability to manage all their inspections in one convenient location. Inspector FX 12 for Mac is now available for immediate download. The most common upgrade request we have received is support for Mac and iOS devices. With version 12 both are now available. With these two new platforms and the great updates shown below, we are confident this will be the best version of InspectorFX ever! Windows users will be pleased to learn this version is fully compatible with all Windows Operating Systems Windows 7 & 8. Of course, Windows versions will also work with Apple iOS devices including iPad, iPad Mini and iPhone! New Image Software, Inc. Announces Availability of InspectorFX 12 Now compatible with Mac and iOS devices! Corinth, TX – 9.10.2013 New Image Software, Inc. announced the immediate availability of InspectorFX 12. “This version is the best yet as it is now compatible with Mac and iOS devices as well as Windows 7, 8” said Richard Jordan, President of New Image Software, Inc.. Owners of previous InspectorFX versions can now upgrade to this latest release. Jordan added, "Imagine how professional an inspector will look when they ask their client to sign the Pre-Inspection Agreement on an iPad at the start of an inspection. And, when you finish your walk-through, the report is practically finished since you are able to insert custom comments using Apple's new voice to text feature and take photos with the built in camera ." InspectorFX 12 delivers the same easy to use features as version 8.5, however there have been significant improvements. "In addition to Mac and iOS compatibility we have added many new features such as the ability to exclude certain pages from a report, dynamic table of contents, more thumbnails and automated PDFs", said Jordan. "Inspector FX 12 is also available in a network version which allows office managers to instantly dispatch inspection orders and schedule updates. I'm even aware of one of our inspectors who has an assistant in the office proof reading reports as they are created. Talk about efficiency!" he added. An InspectorFX 12 10 day trial is available for immediate download at www.inspectorfx.com. Inspectors who have purchased in the past twelve months will receive a free upgrade. Others will receive discounted pricing based on their purchase date. All version 12 users may add iOS capability for only $29 per month including unlimited support for iOS, Mac and Windows devices. 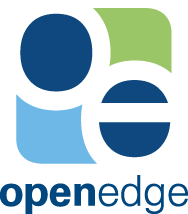 Increase your cash flow with our integrated OpenEdge credit card processing gateway. for the Office and the Field.